You know what they say… Happy wife, happy life. Steve Harvey took that message in stride when revealing his brand new look, stating that his wife quite likes the transformation. The man has graced our television screens for years, hosting his own talk show alongside Family Feud and throughout the years, one thing has remained consistent with him: his mustache. His bushy stache became part of his signature look but as they say… all good things must come to an end. 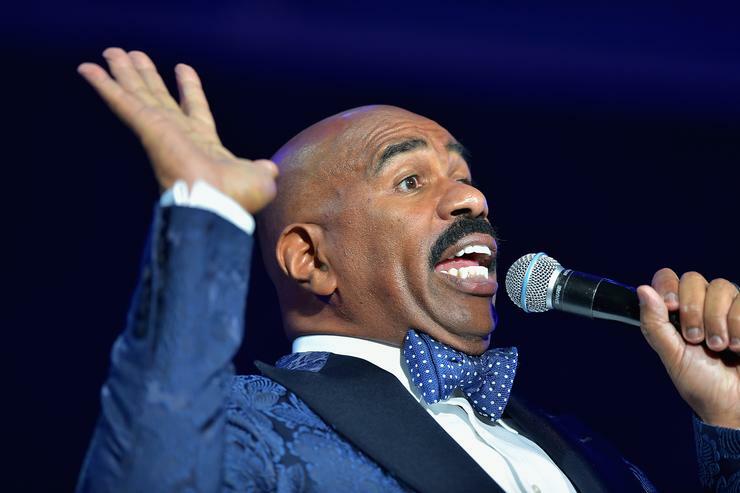 The day has finally come when Steve Harvey debuts a new look. Gone are the days of his eccentric upper lip, we now welcome Steve with a full beard. While showing off his new face, you can tell he’s a little upset from the way he’s speaking. “We’ll see how that goes,” says Steve, sarcastically, after obviously stating that he’s got a new look. The debut comes as Harvey gets back on the air for a new season of Steve. With the new season, Steve says it was time to reinvent himself and after getting dragged for naming the wrong winner of Miss Universe a few years back, this may be the final step in his attempt to disguise himself enough that people forget about the flub. Many fans in the comments section love the new look, praising him for being comfortable in his own skin and telling him he looks more “distinguished” now.